A new poll released this week shows that the tide is turning in the U.S.: Americans are against orca captivity. According to the poll, fully half of Americans oppose the practice, while only 21 percent of Americans are in favor of keeping orcas in captivity (the rest were undecided). The poll, commissioned by the Animal Welfare Institute (AWI) and Whale and Dolphin Conservation (WDC), is a follow-up to an identical 2012 poll that showed 39 percent opposing the practice and only 26 percent favoring it, with the rest undecided. This year's results indicate an increase of 11 percent in the number of Americans opposed to orca captivity. In addition, the poll seemed to indicate more empathy for the whales -- 82 percent said that the inability of killer whales to engage in their natural behaviors while in captivity is a "convincing" reason to end this practice, with 57 percent saying it is "very convincing." 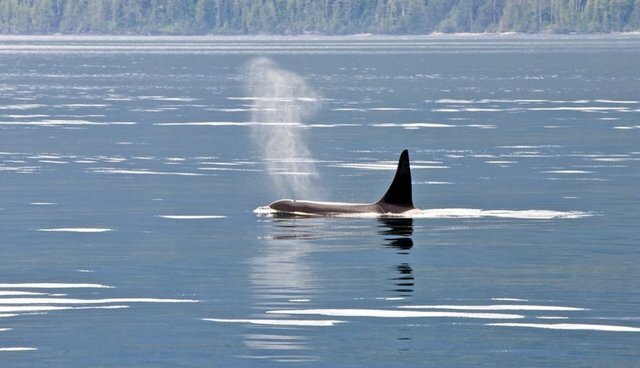 While the poll isn't perfect and has a small sample size (more than 1,000 U.S. adults were contacted through a polling service), the poll seems to be just another measure of a growing movement against orca captivity and SeaWorld -- along with the popularity of the CNN documentary "Blackfish," the exposure of breaches to the Animal Welfare Act at SeaWorld, and the recent surge of companies boycotting the park.